Since 1865 merino sheep have been grazing the spectacular Pisa range of Otago, New Zealand. 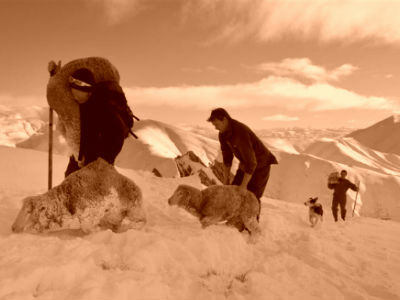 As the snow fell every winter, hardly sheep farmers worked the flocks down off the ranges to the shelter of the Cardrona Valley. This annual merino muster was the inspiration for New Zealand's inaugural cross-country ski race in 1995. 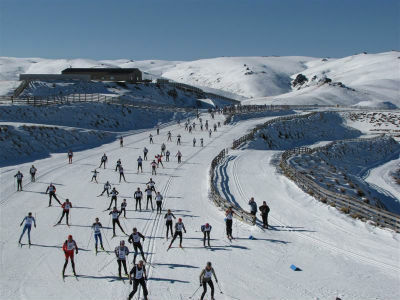 Today, the race attracts skiers from all over the world who come to test themselves against the tough terrain and unique scenery high above the Cardrona valley. Ski across the rugged and beautiful Mt Pisa range on New Zealand's best cross country tracks at Snowfarm. This annual event it’s a must do on any endurance athlete's bucket list. 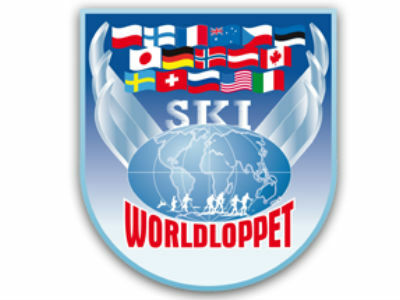 The Worldloppet is the international federation of ski marathons, founded in 1978 with the aim of promoting and uniting mass participation ski racing. 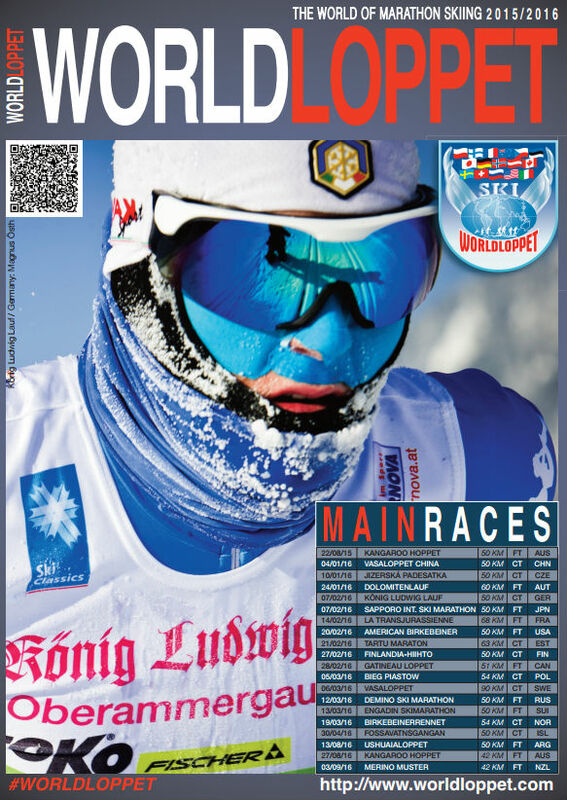 Today, the Worldloppet tour consists of 20 international races, including the biggest cross country ski races in the world. Since 2014, Merino Muster has been a part of this series and now attracts competitors from many countries all keen to stamp their WorldLoppet passport. 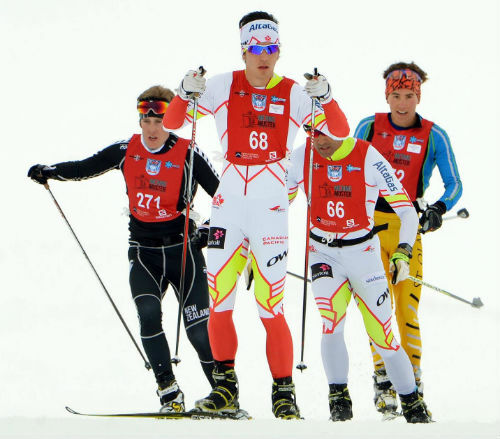 The three southern hemisphere Worldloppet countries - Argentina, Australia and New Zealand have scheduled their races to run on consecutive weekends, making a three stop tour of international racing a tempting option for committed ski racers. on New Zealand's best cross country tracks at Snowfarm. This annual event is a must do on any cross country skier’s bucket list. - founded in 1978 with the aim of promoting and uniting mass participation ski racing. Today, the Worldloppet tour consists of 20 international races, including the biggest cross country ski races in the world. Since 1865 merino sheep have been grazing the hills of the spectacular Pisa range in Otago, New Zealand. 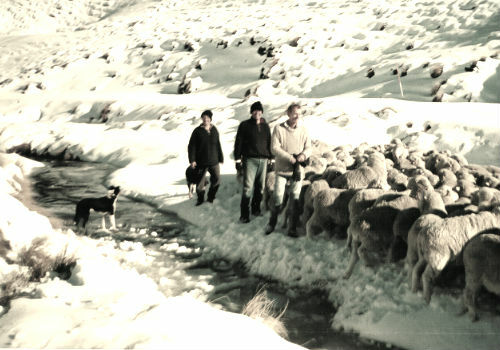 As the snow fell every winter, hardy sheep farmers worked the flocks down off the ranges to the shelter of the Cardrona Valley. This annual “merino muster” was the inspiration for New Zealand's inaugural cross-country ski race in 1995. The Snow Farm is New Zealand's premium X-Country ski field. Based 1500m above the Cardrona valley with accommodation and training options for all skiers. Snow Farm’s tracks and accommodation have attracted foreign cross country and biathlon ski teams for many years. The X-Country ski trails roam across the lower part of the Pisa range. Many follow old farm and mustering trails while others were formed to exploit the topography and shaped to for snow retention. The advanced trail design and quality grooming makes the most of the snowfall. An on-site lodge and two ski accessed back-country huts provide accommodation. Simplify you stay in New Zealand by purchasing a package to suit you. Packages including accommodation, transport and instruction plus more are available. ‍Snow Farm Lodge also offers fully catered accommodation at the hub of Snow Farm, while a short ski will take you to the Meadow Hut nestled in the Meg Valley or the Bob Lee Hut with it’s stupendous vistas of the Southern Alps and Mt Aspiring from its ridgeline site. Snow Farm operates a professional X-Country ski school staffed by overseas trained skiers and offers a full range of rental equipment. The Merino Muster team have helped develop with Snow Farm a pre-race training programme running in the weeks leading to the event to develop local skier’s fitness and technique.